Business To Consumer Telemarketing Programs | DRS Acquisitions, Inc.
Our Business to Consumer Outbound Telemarketing involves a similar approach as Business to Business Outbound Telemarketing by providing a proactive approach to marketing. The difference between Business to Business Telemarketing and Business to Consumer Telemarketing is that telemarketing calls are placed into a target group of residential consumer’s vs. business consumer’s. Letting DRS Acquisitions provide your Outbound Business to Consumer Telemarketing can save you money. Hiring your own in-house telemarketer can be costly. You may need to pay benefits, hire a supervisor, provide additional office space, and acquire new or updated equipment. Our SER (EIS) Encore Call Processing System, together with our TSR’s (Telemarketing Service Representatives), makes it possible to reach a large number of consumers in a short period of time. We allow you to stop the telemarketing program and resume as needed, which eliminates having to hire and fire employees. You can free up your staff from handling your telemarketing needs and focus on the functions of your business while saving your business time and money. We realize that we are an extension of your business which is why we work with you to develop script content and to educate and train our TSR’s (Telemarketing Service Representatives) about your company, your products and your services. 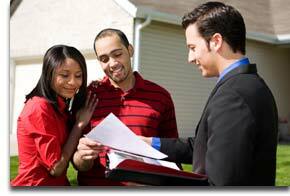 We strive to build consumer trust, and identify needs. Knowing what your customers like and don't like about you, your products or services is key to creating a lasting relationship with them. Check out our Business to Consumer Telemarketing Programs and Call us today. 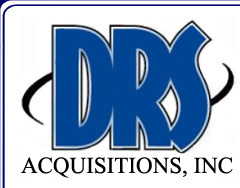 What ever your telemarketing needs DRS Acquisitions, Inc. can help you build your business and add to your bottom line.